The National Chairman of the National Democratic Congress (NDC), Mr Samuel Ofosu-Ampofo and one other are set to face the Accra Commercial High Court tomorrow to answer charges on conspiracy to cause harm and assault against a public officer. The two it is gathered are set to face four charges; three for the National Chairman and one for the other who is the Deputy National Communications Officer, Kwaku Boahen. The two have both denied the charges against them. The alleged meeting between Mr Ofosu-Ampofo and NDC communicators was aimed at planning strategies ahead of the 2020 general election. When the issue of the leaked tape went viral, the NDC described it as concocted and false. The New Patriotic Party (NPP) in the heat of issues called for the resignation of Samuel Ofosu Ampofo over the matter. The NPP’s Communication Director, Yaw Buaben Asamoa said the party is working with the police to investigate the issues raised in the tape. As things stand now, Mr. Buaben Asamoa insisted that the NDC had lost some moral standing. In a response, the National Democratic Congress (NDC) dismissed the leaked audio attributed to the Chairman of the party, Samuel Ofosu Ampofo in which he was making explosive comments. 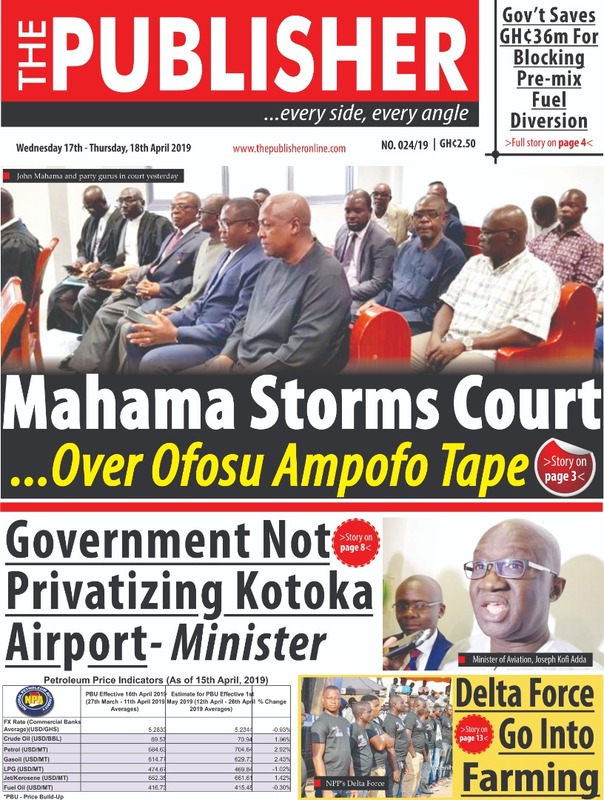 According to the party, the tape was doctored by the opposition New Patriotic Party (NPP) to divert attention from at then the upcoming investigative documentary by Anas Aremeyaw Anas that exposes some corrupt government officials. In a statement, the NDC described the audio recording as a “mischievous”, “vile and fraudulent,” piece that must not be given attention. “We are not surprised about this act of desperation on the part of the ruling NPP. In the wake of an impending damning expose by ace investigative journalist, Anas Aremeyaw Anas, in which key officials of the Akufo-Addo government have been caught on camera receiving bribes in order to compromise government’s so-called fight against illegal mining, the NDC can understand government’s restless desperation to divert public attention with this rather vile and fraudulent audio recording,” the statement said.